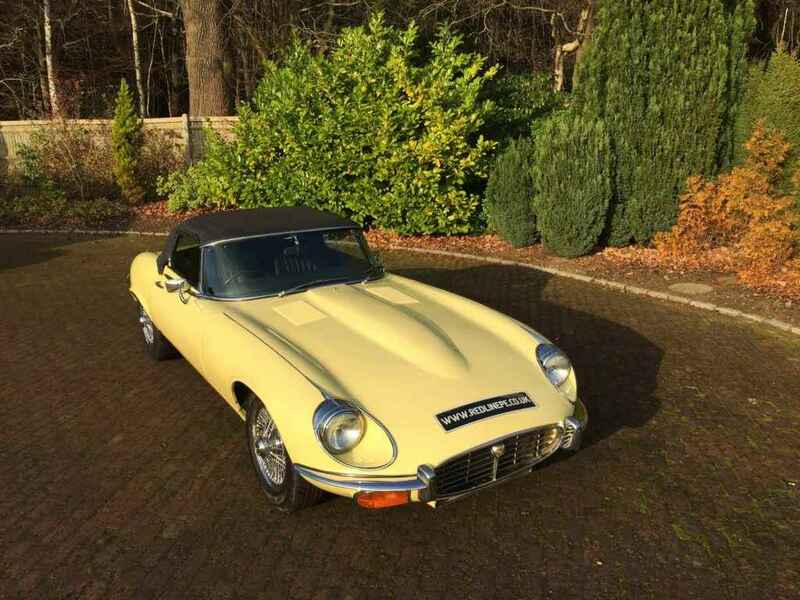 Manufactured 21 August 1973 and received by Henlys Ltd in London on 8th September 1973 ready for its first owner Miss L Stamps. 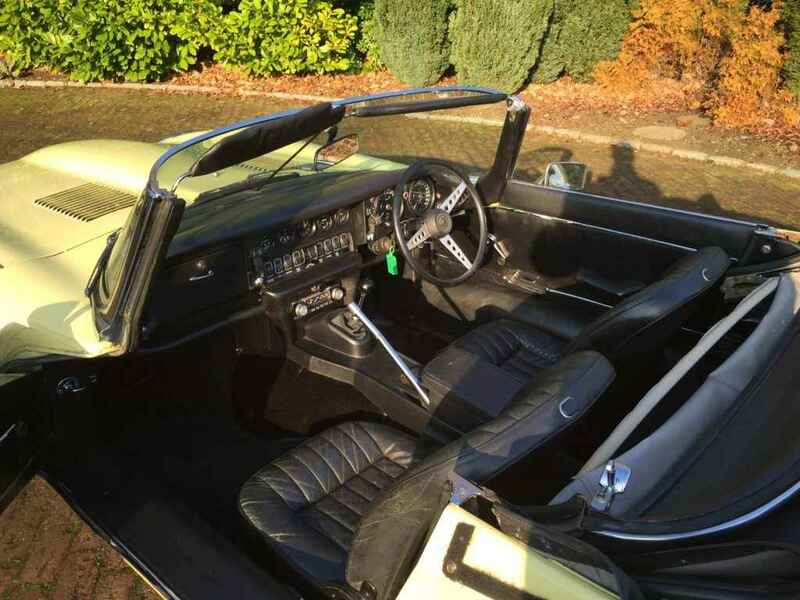 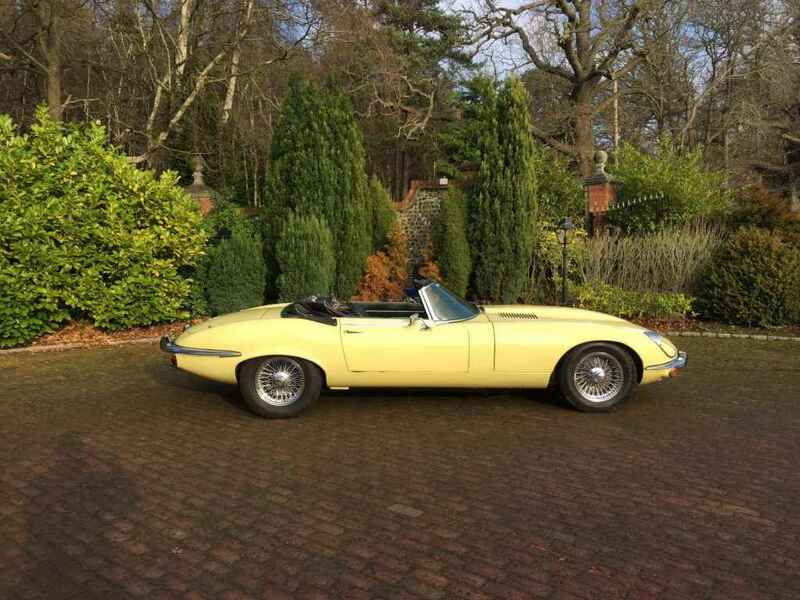 Finished in original colour Pale Primrose Yellow with Black interior, 34,000 from new, with 5 former keeps. 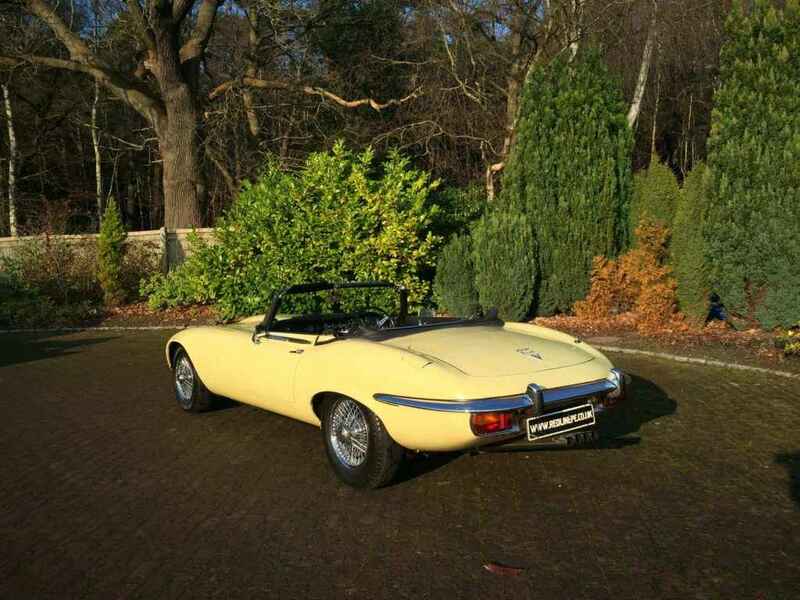 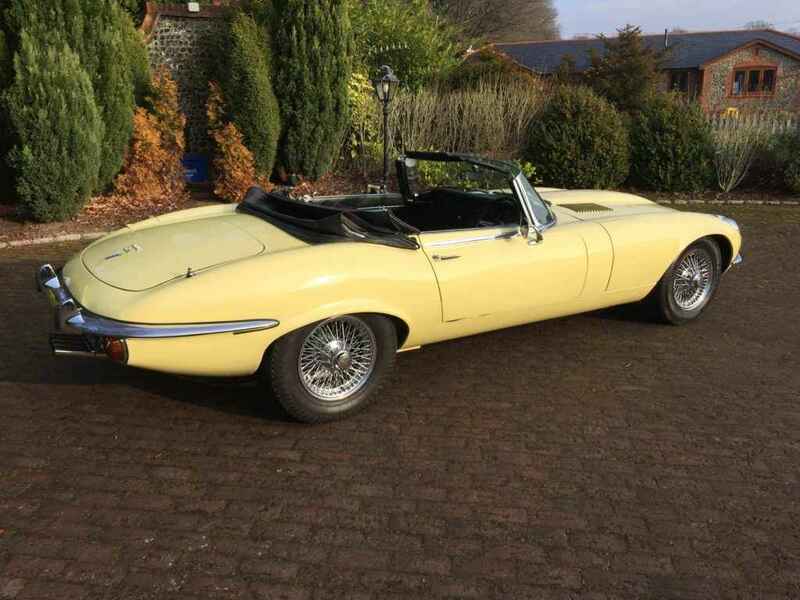 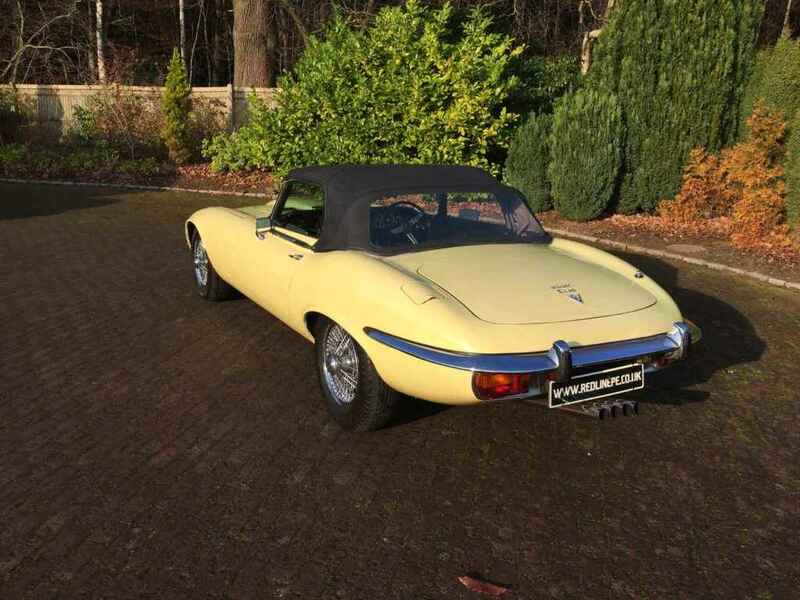 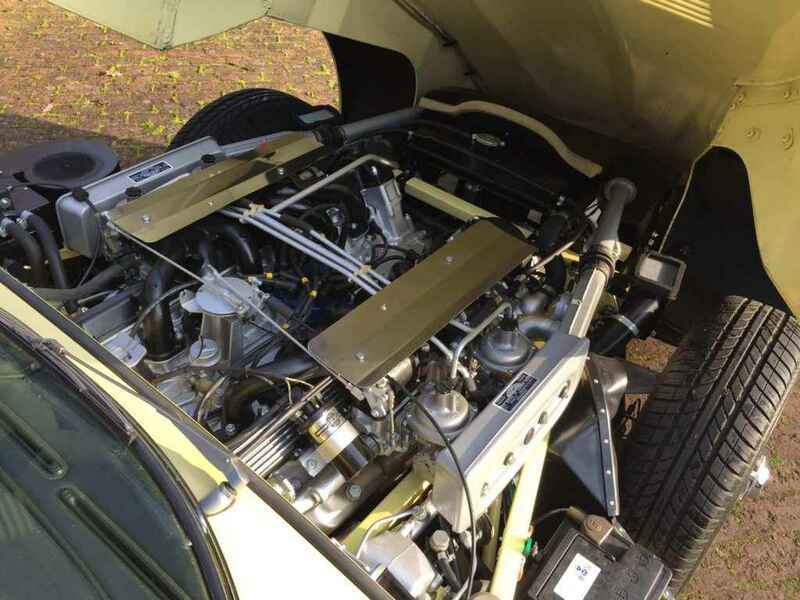 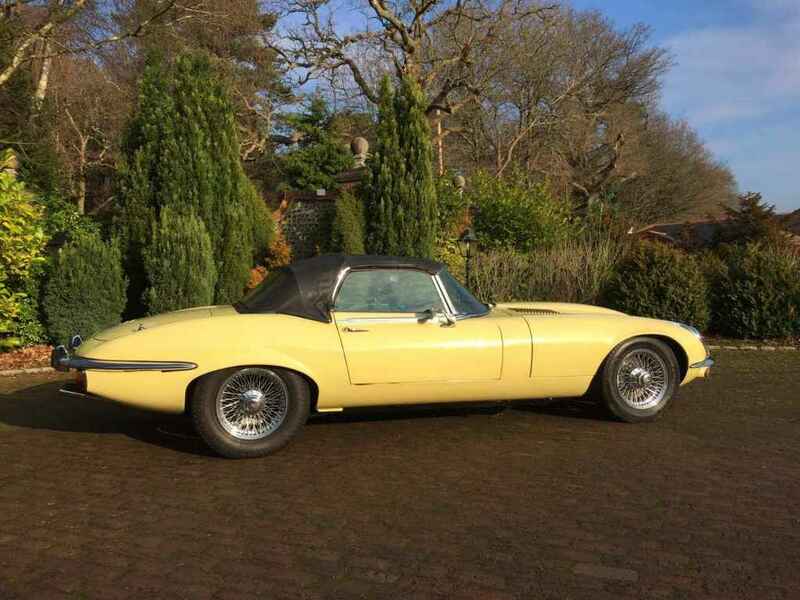 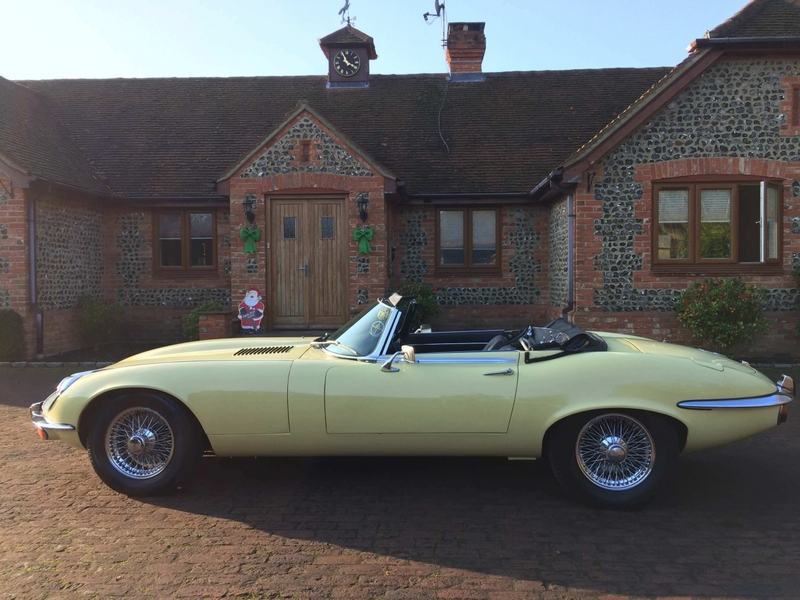 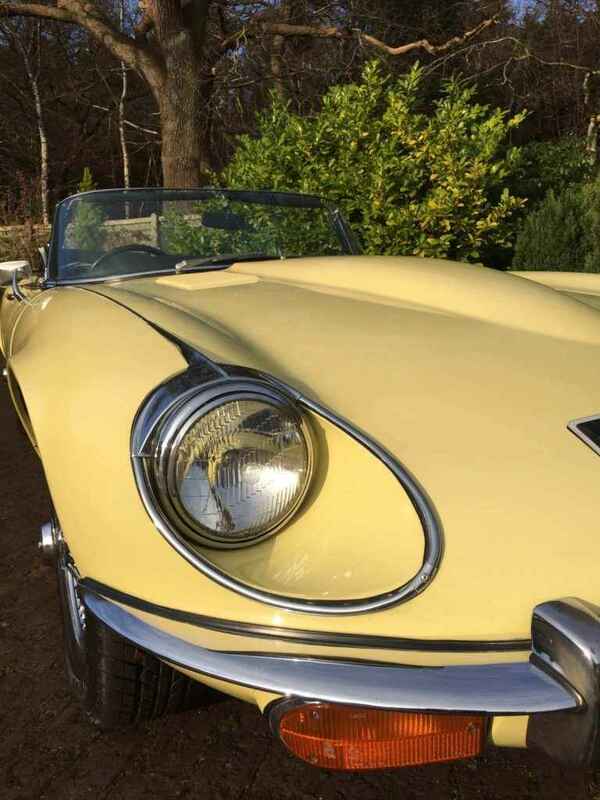 This wonderful and well maintained E Type is finished in Jaguar Pale Primrose Yellow with Black interior, for those winter rainy months a factory fit hard top finished in Black is also supplied with the Jaguar. 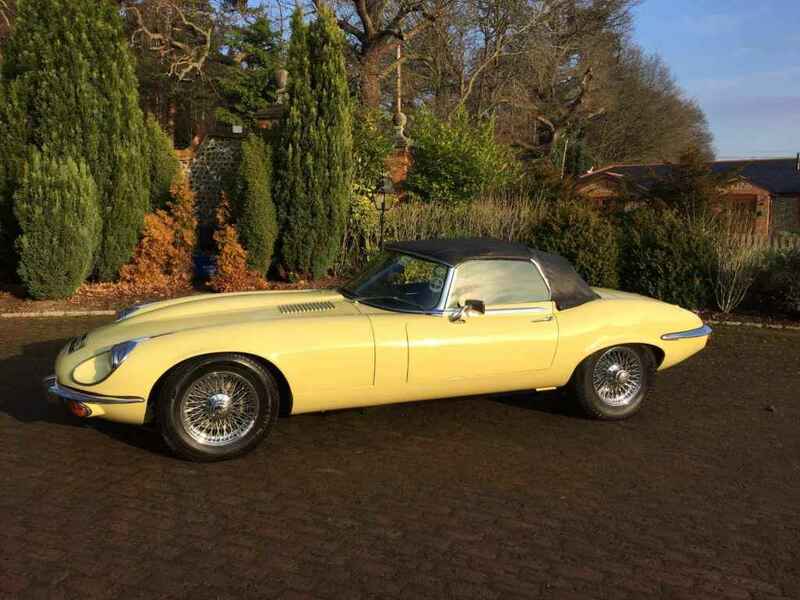 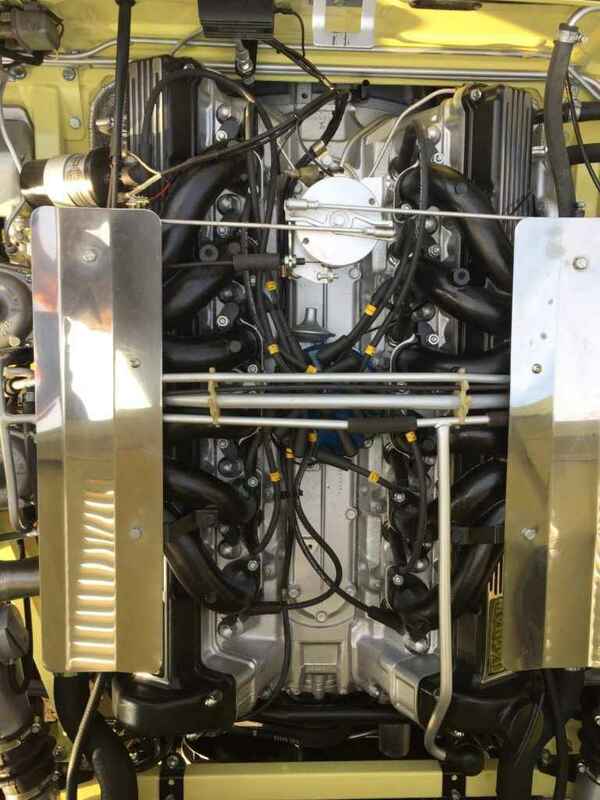 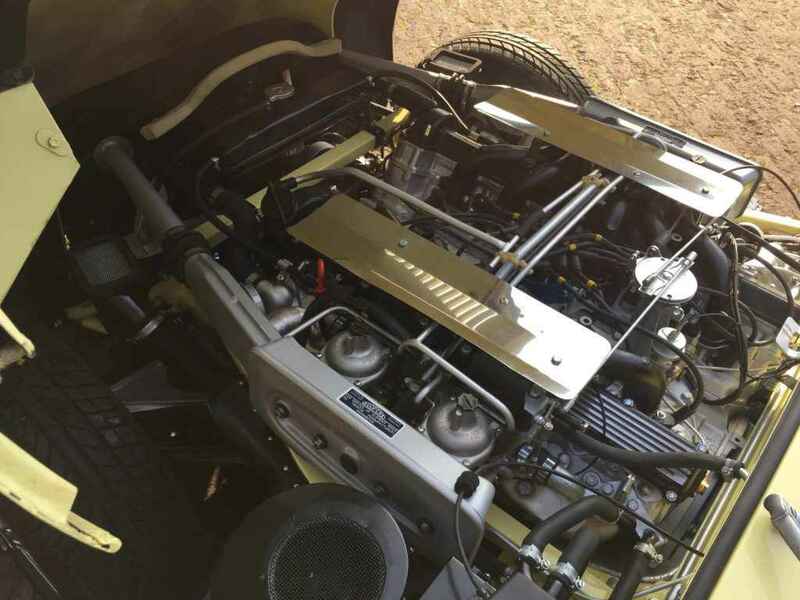 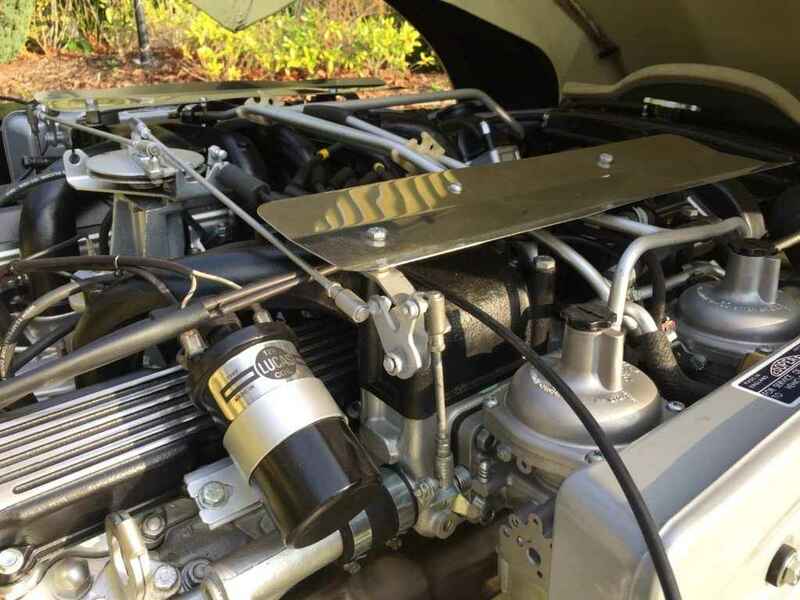 The 5.3ltr engine starts and runs on the button, the engine with its slightly increased 9-1 compression sounds perfect, moss 4 speed manual gearbox, stainless exhaust, upgrades to front brakes, this year E Type underwent complete overhaul to both front and rear suspension including differential, new stainless exhaust system, complete cosmetic overhaul to engine and engine bay with new clutch. 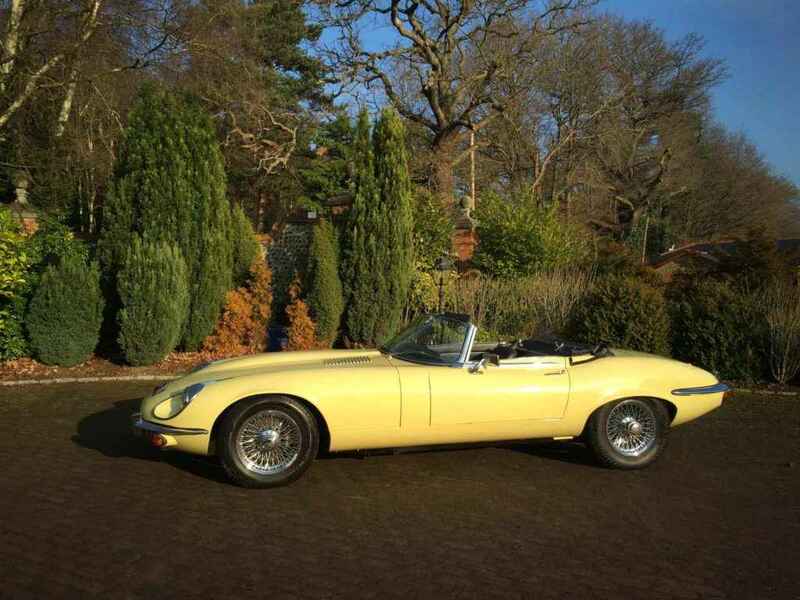 Service history, Jaguar Heritage certificate, Service book, Manuals, spare wheel & tool kit all present and correct. 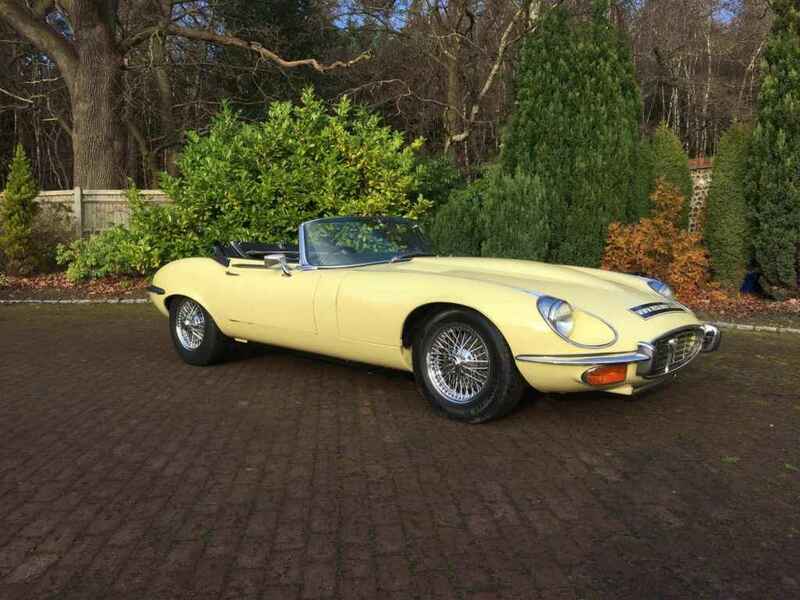 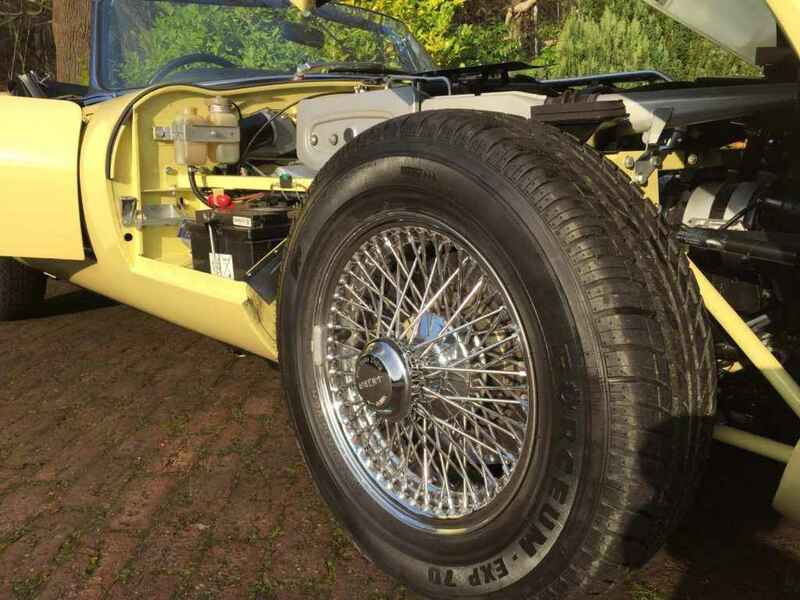 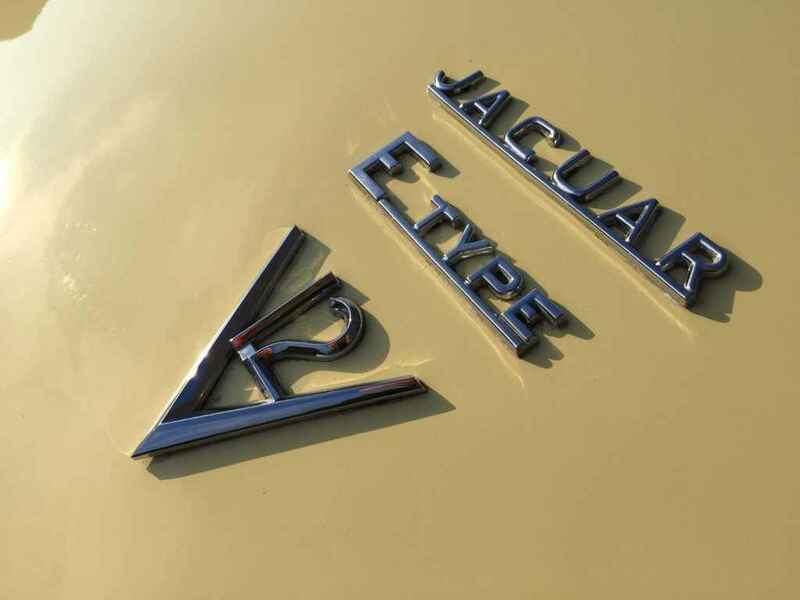 Absolutely stunning from every angle.With most E-Types exported when new finding original RHD examples are becoming extremely rare pushing prices up. 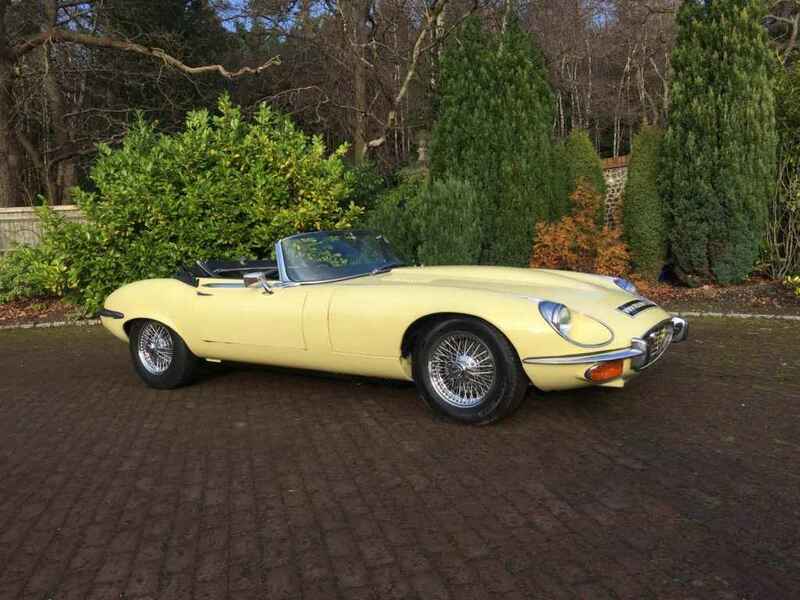 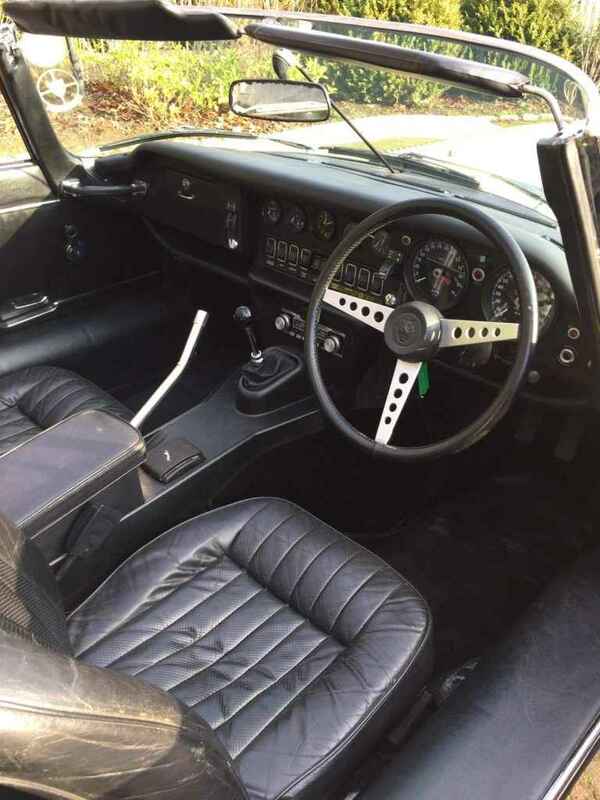 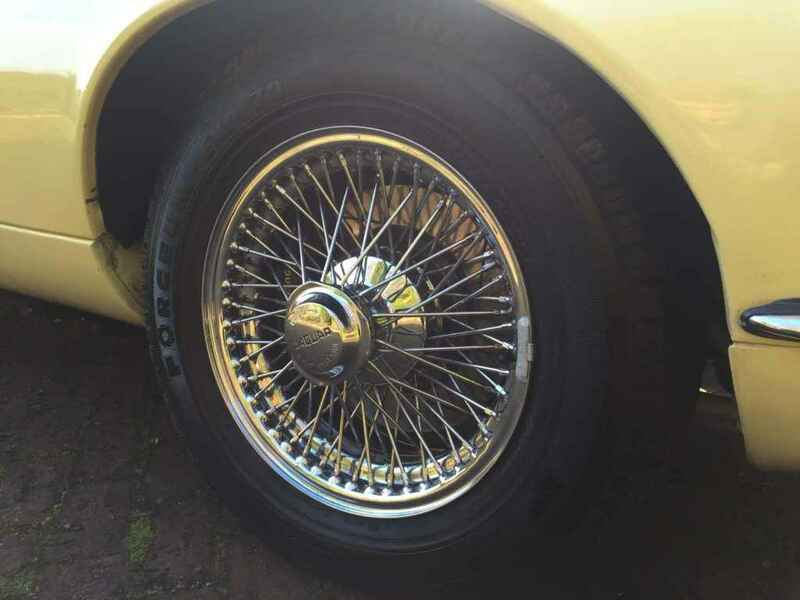 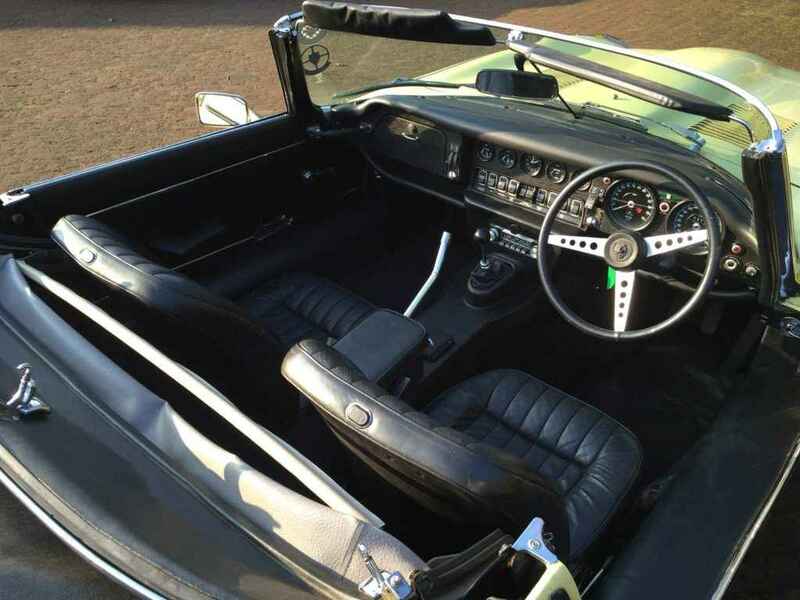 This car is a fantastic investment with Jaguar E-Types Series 3 V12’s only ever increasing in value, this particular example would make a wonderful classic in its present condition or an extremely good platform for restoration where theres a opportunity to build Jaguar E-Type to your own specification with upgrades so this classic drives like modern car.